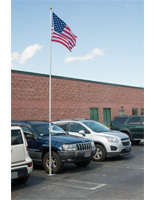 This American flag w/ brass grommets attaches to a pole and won't fray due to the strong reinforcements. 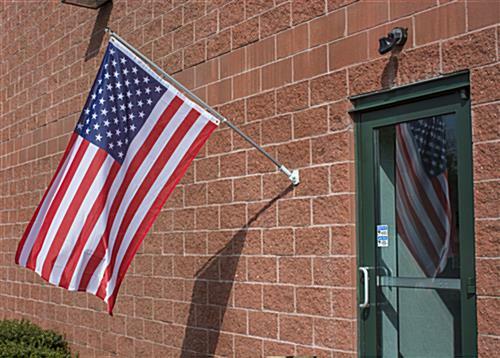 This commercial and residential display is a novelty item with the USA trademark that can be hung outside the home or a commercial storefront. 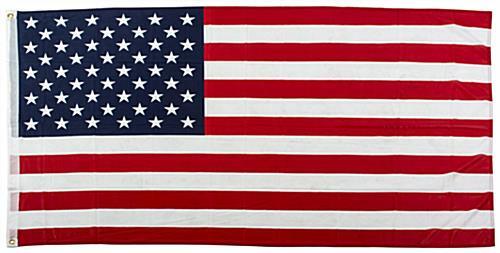 This flag w/ brass grommets sized 3' x 5' is less expensive than the traditional cotton embroidered alternative. Need a beautiful, affordable way to celebrate the fourth of July? 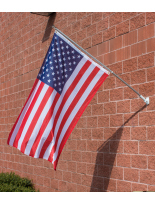 This flag w/ brass grommets is constructed of pre-printed mesh polyester with a red hemline around the edge that's both celebratory and durable.